Wholesale Trader of a wide range of products which include ketoconazole cream, terbinafine hydrochloride cream, clobetasol & salicylic acid cream, luliconazole cream, clobetasol, miconazole nitrate & neomycin cream and kojic acid, arbutin, octinoxate, mulberry extract and vitamin gel. 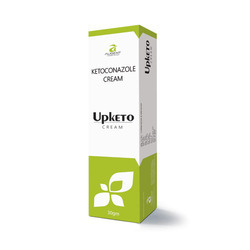 Ketoconazole Cream is an anti-fungal which is used to treat a variety of infections caused by fungi. It is recommended when no other safer alternatives are available due to the risk of the liver injury. Do not take this medicine if you have a known allergy to it. 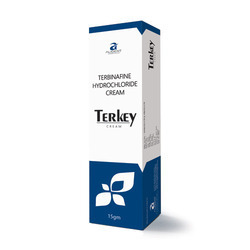 As a customer-focused organization, we are providing a wide array of Terbinafine Hydrochloride Cream. Exhibits super potent action on dermatophyte infection. Exerts superior mycological & clinical cure rates. We are engaged in offering high-quality Salicylic Acid Ointment to our valuable clients. Luliconazole 1 % Cream is an effective antifungal medication used to treat skin infections such as athlete's foot, jock itch (fungal infection in the groin or buttocks), etc. caused by fungi. This medicine is not recommended for use in patients less than 2 years of age. Clobetasol:- Aleviates inflammation by inhibiting the biosynthesis of PGs & lekotrienes. Neomycin:- Inhibits translation in both Gram-positive & Gram-negative bacteria. Miconazole :- Inhibits 14a-demethylase, required for ergosterol biosynthesis in fungal cell membrances. Kojic Acid:- Helps in skin- lightening by inhibiting antyrosinase activity. Licorise:- Decreases free radicals by dispersing melanin, inhibiting melanin biosynthasis & COX activity. Mulberry :- Inhibits tyrosinase activity & melanin formation in melan-a-cells. Vitamin E:- Acts as antioxident & reduces tanning. Packfast Roll on is a Non-steroidal anti-inflammatory (NSAID) drug used to treat pain associated with conditions like Gout, Migraine, Rheumatoid Arthritis, sprains of muscles and joints and in mild to moderate fever in some cases. 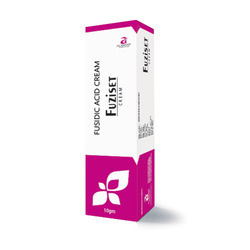 Our clients can avail from us an effective range of Fusidic Acid Cream. 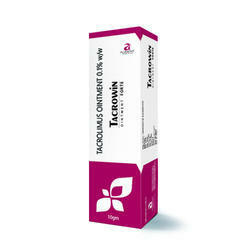 Tacrolimus ointment is used to treat the symptoms of eczema (atopic dermatitis; a skin disease that causes the skin to be dry and itchy and to sometimes develop red, scaly rashes) in patients who cannotuse other medications for their condition or whose eczema has not responded to another medication. Vitamin E with Aloe Vera Shea Butter Moisturising cream for all skin types.